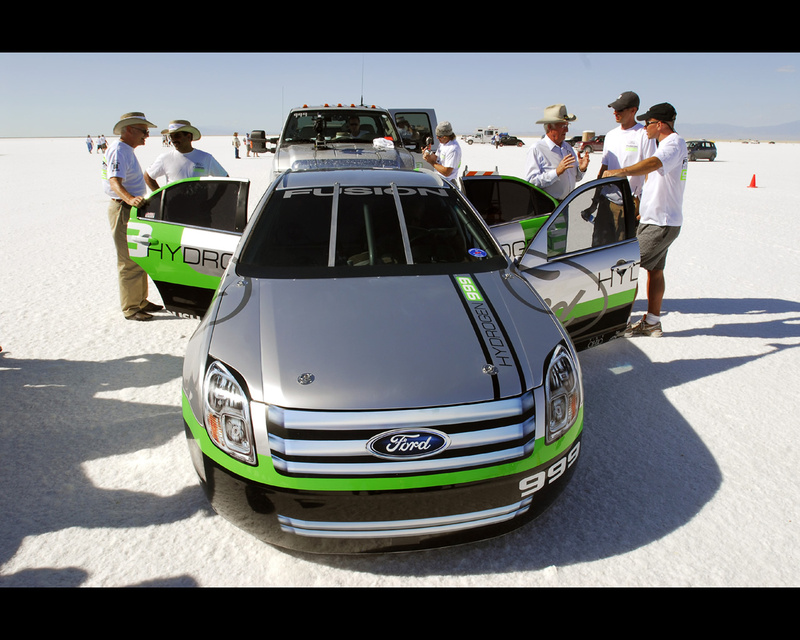 August 16th 2007 Bonneville Salt Flats in Wendover, Utah - Ford Motor Company made history today by reaching 207.279 mph with its Ford Fusion Hydrogen 999, the world's first production based hydrogen fuel cell race car. 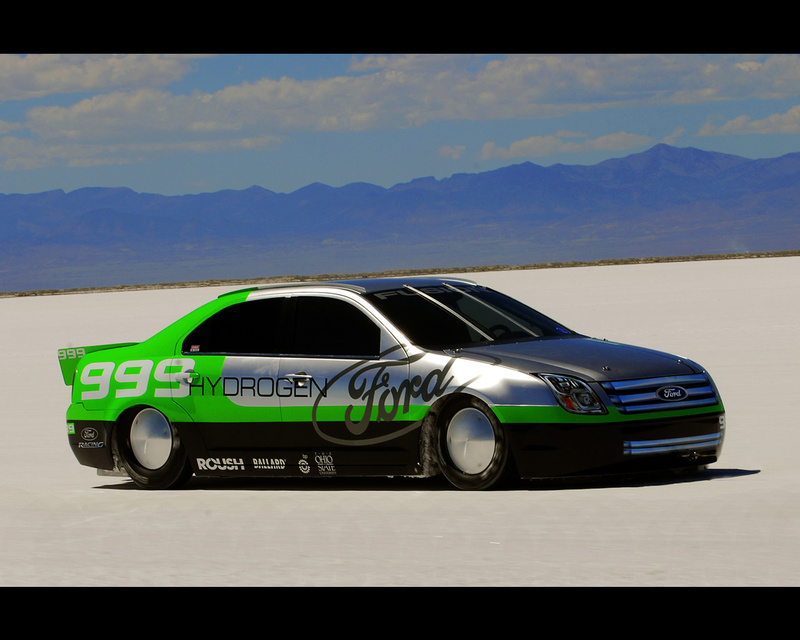 The Ford Fusion Hydrogen 999, which is powered completely by hydrogen fuel cells, is the product of a year long collaborative effort between Ford's fuel cell team, Roush Racing, Ballard Power Systems and Ohio State University. 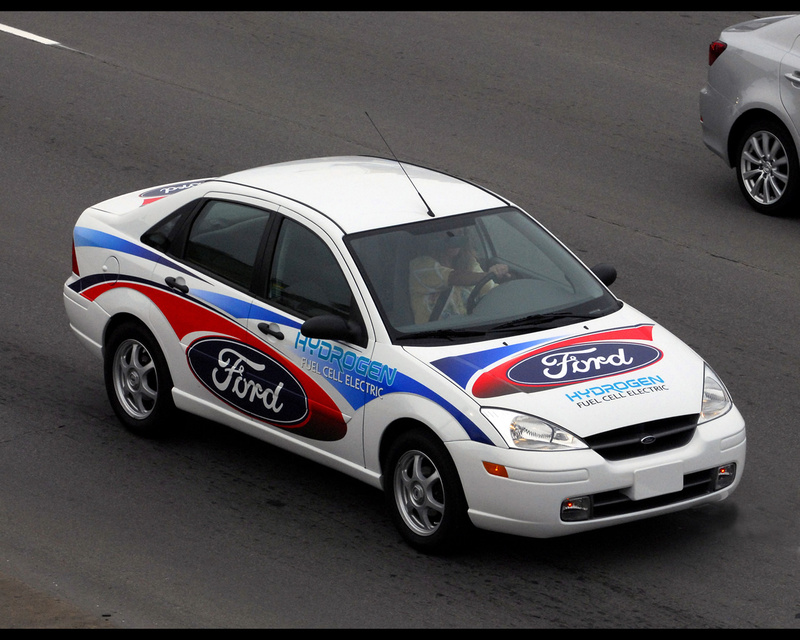 Ford's goal was to become the world's first Original Equipment Manufacturer fuel cell car to travel 200 mph (321 kph). " It may sound cliché, but we are chasing a dream," said Matt Zuehlk, member of the Ford fuel cell team and lead engineer for the Ford Fusion Hydrogen 999. " We see an opportunity to make history for Ford Motor Company, and it is extremely exciting. 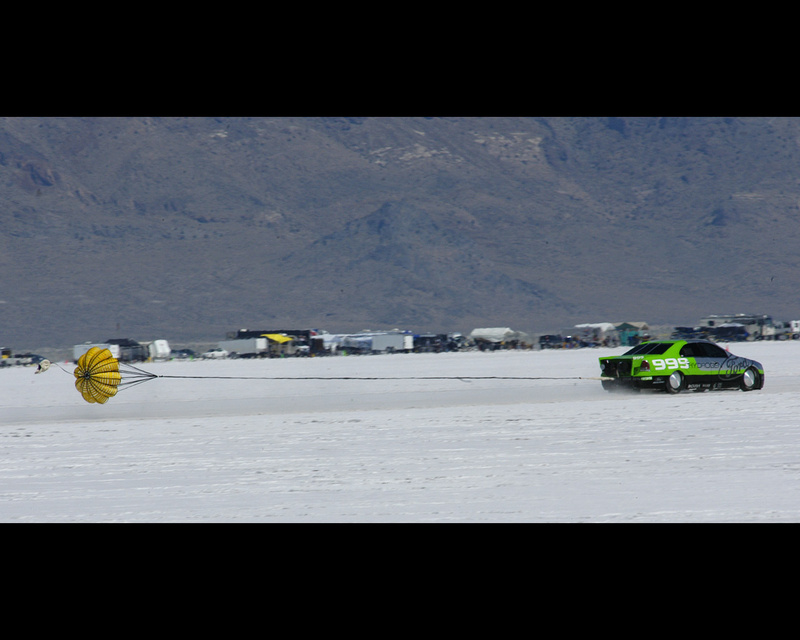 In 1904, Henry Ford set a land speed record at 91.37 mph (147 kph) on a frozen-over Lake St. Clair with a car named "999"," he explained. "Mr. Ford had a dream of being fast and innovative. 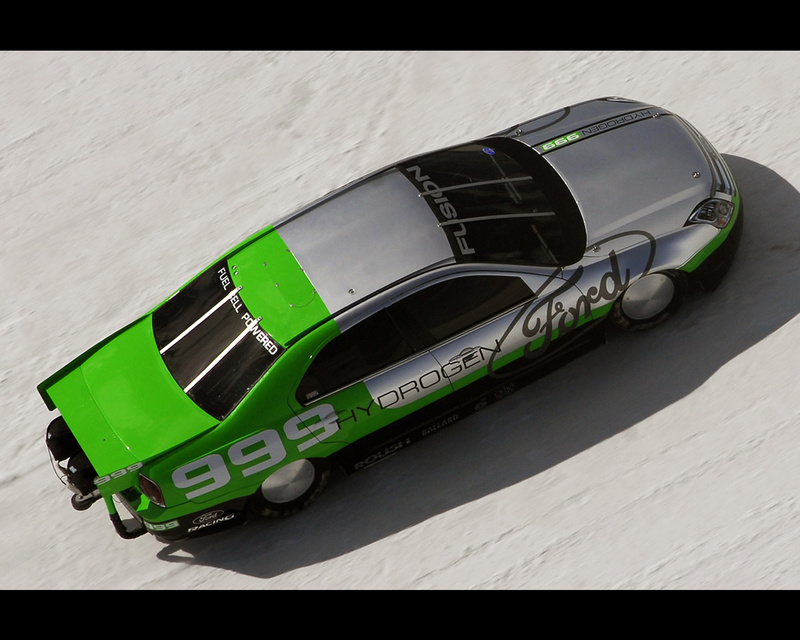 We are back at land speed racing 100 years later, and now we are showcasing Ford's innovation in fuel cell technology." 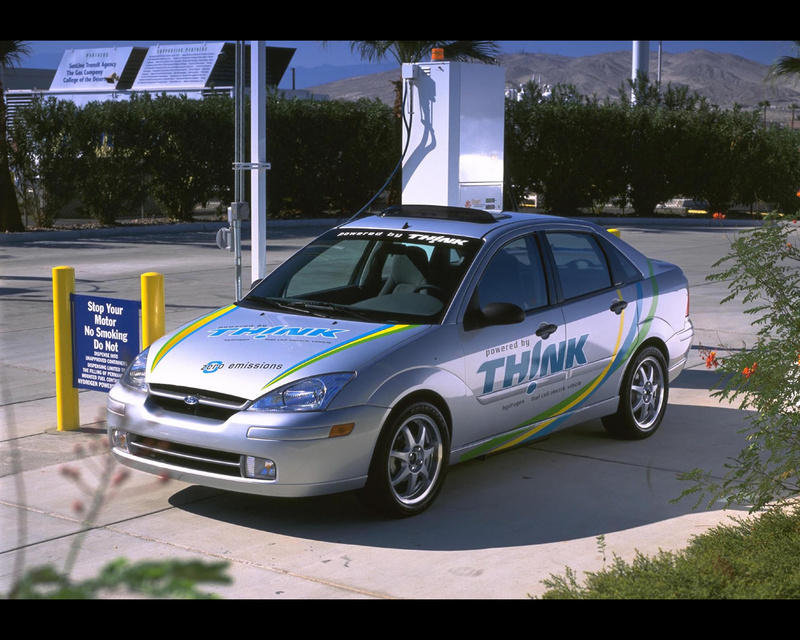 Ford began working on hydrogen technology in the early 1990s. 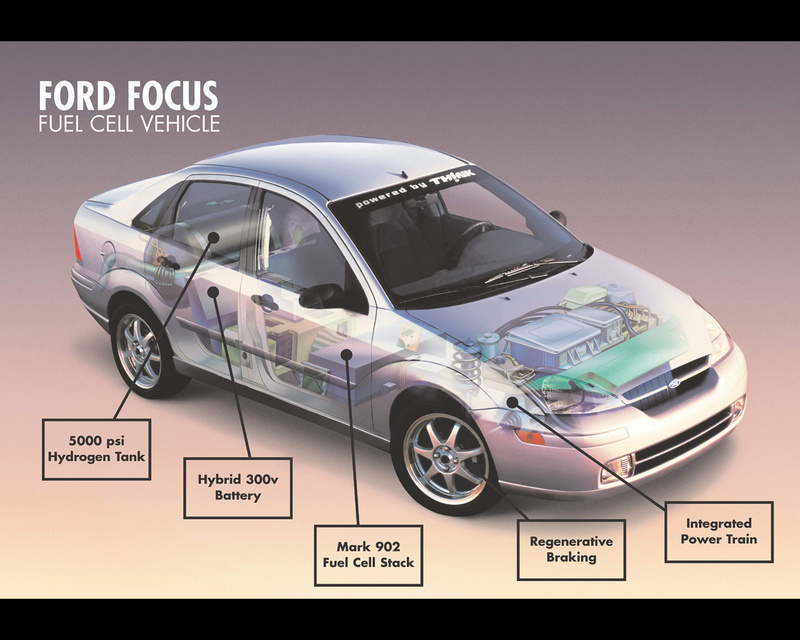 Ford's first hydrogen fuel cell vehicle, released in 2001, was based on a lightweight aluminium sedan body, which also was used in the development of the company's first hydrogen powered internal combustion engine. The company currently has a fleet of 30 hydrogen-powered Focus fuel cell vehicles on the road as part of a worldwide, seven-city program to conduct real-world testing of fuel cello technology; The fleet, started in 2005 for a three year program, has accumulated more than 800,000 km ( 500,000 miles) since its inception. The Ford Focus Fuel cell test vehicles also have earned accolades from the company's global fleet partners for outstanding durability, reliability and capacity. Ford Focus Fuel cell fleet partners include a variety of government agencies in California, Florida, Michigan, Canada, Germany and Iceland. 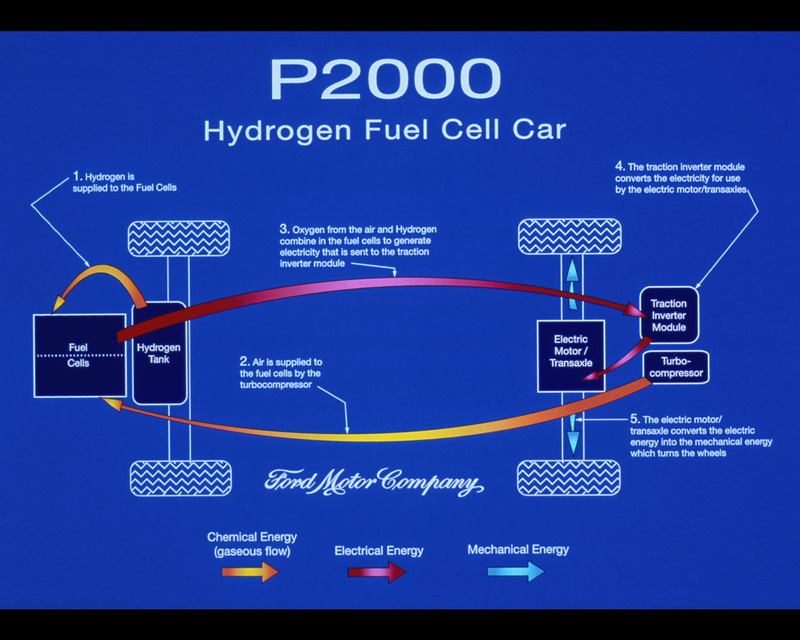 Encouraged by the program's success, Ford recently reached an agreement with the U.S. Department of Energy to extend its three-year old hydrogen fuel cell electric vehicle program for up to 24 months, until the next generation system is ready for deployment in the 2010 timeframe. "We have had a lot of great experience with these cars and they are running quite well," said Scott Staley, Ford hybrid and fuel cell development chief engineer in North America. "We expected the fuel cells to be much more problematic under real world conditions, but it is a credit to our development process that the vehicles have been very robust." 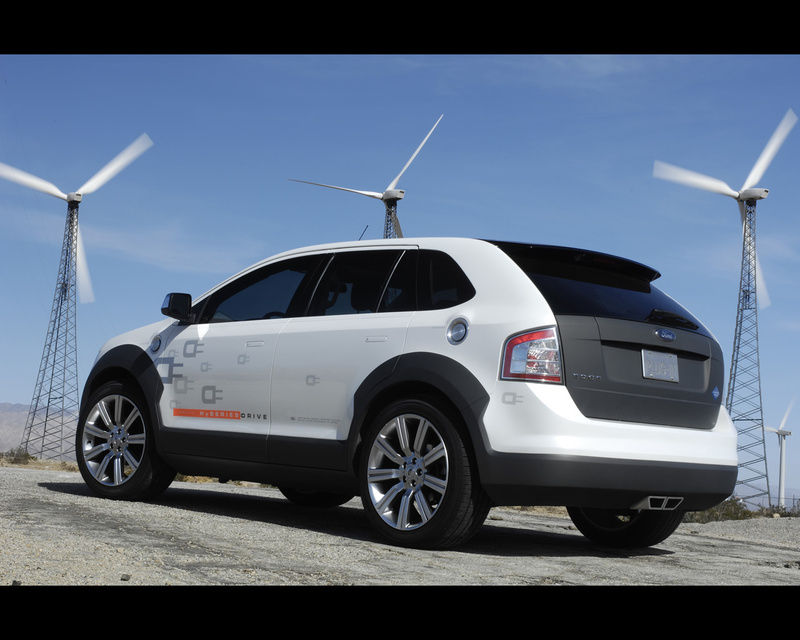 Ford's researchers agree that much work needs to be done before fuel cell vehicles can be commercialized. The biggest challenge according to Rob Riley, Ford fleet manager in California, is building a viable hydrogen infrastructure with fueling stations across the country. 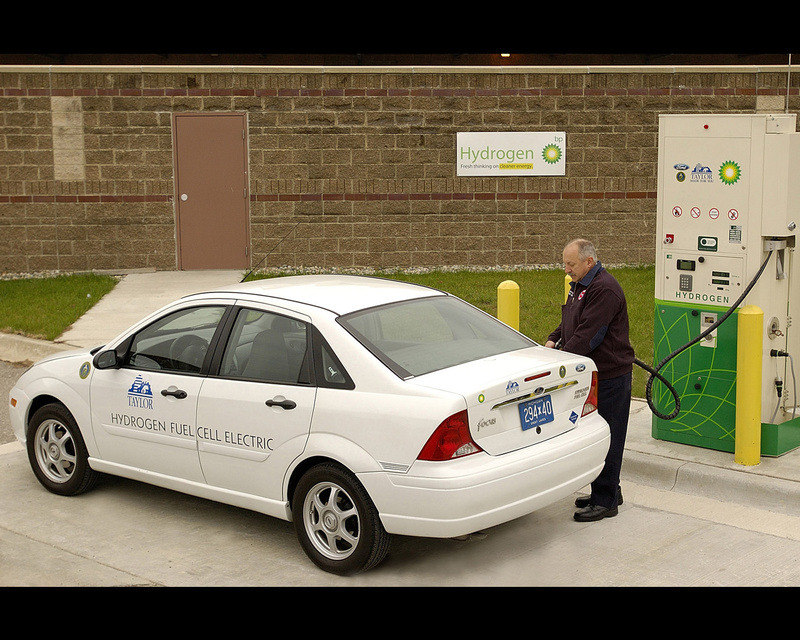 Currently, there are 70 hydrogen fueling stations and most of them are not accessible to the public. California is leading the way having recently opened its 24th station. 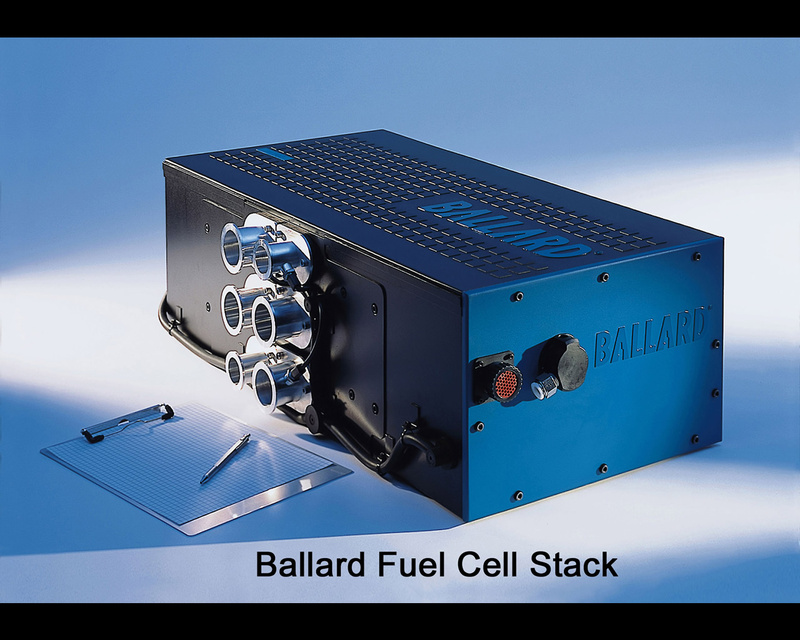 Certainly, many significant technical hurdles need to be overcome before a fuel cell vehicle can become a reality. 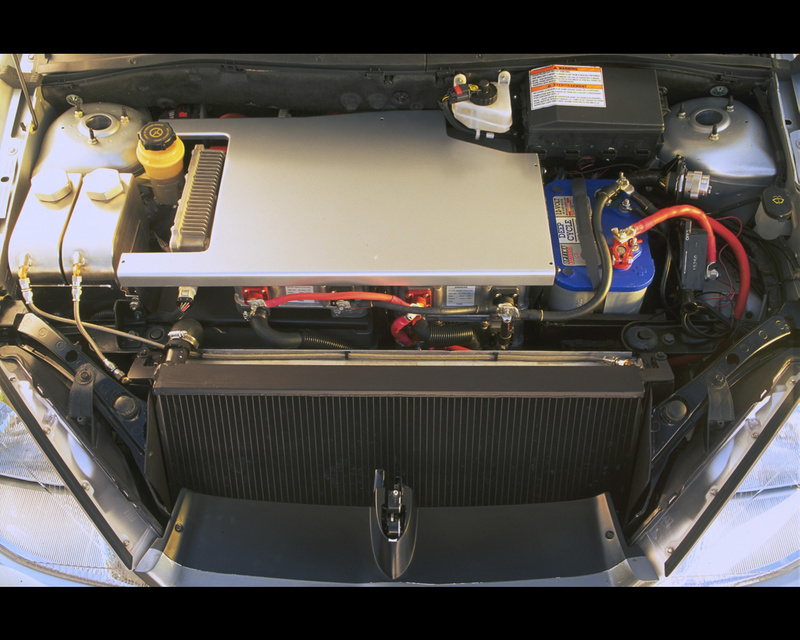 Fuel Cell vehicles remain expensive, costing millions of dollars each. And the single biggest hurdle to plug ins remain the cost of lithium-ion batteries. 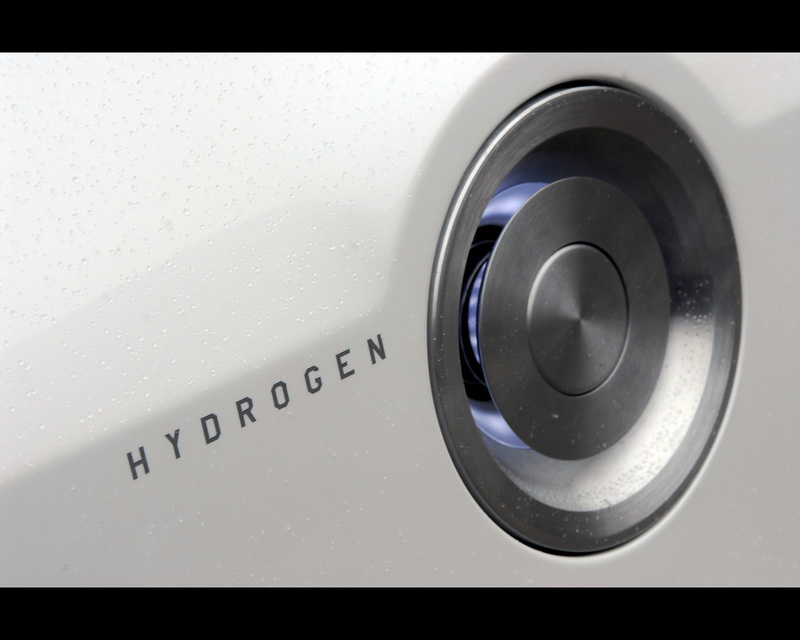 Much work also needs to be done to make fuel cells more durable and to create a hydrogen infrastructure. At the 2007 Detroit Motor Show, Ford unveiled its Airstream Concept equipped with the HySeries Drive. 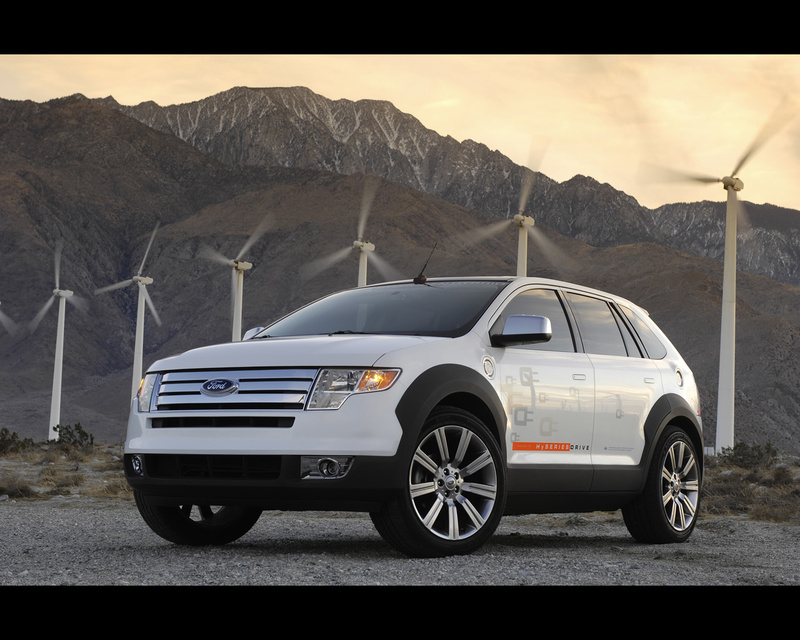 See Car Reviews Ford Airstream Concept for further images and information. 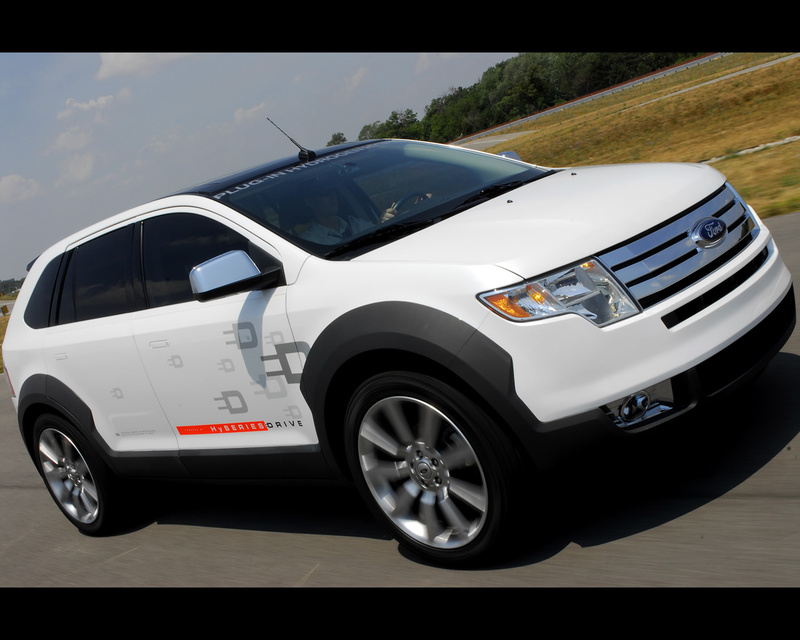 At the Washington Motor Show 2007, Ford introduced the Ford Edge prototype with HySeries Drive system that is a driveable plug-in hybrid powered by hydrogen with the same drivetrain architecture as the Airstream Concept. The Ford Edge with HySeries Drive can travel at speeds up to 136 kph (85 mph). The plug-in hybrid is an electric vehicle powered by a 336 volt lithium-ion battery pack at all times. The vehicle drives the first 40 km (25 miles) each day on stored electricity alone, after which the fuel cell begins operating to keep the battery pack charged. An on-board charger (110/220 V AC) can refresh the battery pack when a standard home outlet is available; when the battery pack is depleted to approximately 40 percent, the hydrogen fuel cell - supplied by Ford's partner Ballard- automatically turns on and begins generating electricity to recharge the batteries. This provides another 320 km (200 miles) of range for a total of 360 km (225 miles with zero emissions. Like a conventional automobile, the Ford Edge with HySeries Drive will go until it runs out of fuel - in this case via a 350-bar hydrogen tank that supplies 4,5 kg of useable hydrogen. The HySeries Drive name is derived from the powertrain's structure: a hydrogen fuel cell powered series hybrid drivetrain. This innovative approach reduces the size, weight, cost and complexity of a conventional fuel cell system by more than 50 per cent. It also promises to more than double the lifetime of the fuel cell stack.
" For example, you could take out the fuel cell and replace it with a hydrogen internal combustion engine," said Scott Staley, chief engineer, Hybrid and Fuel Cell Technology at Ford Motor Company, "or I could replace the fuel cell and hydrogen tank with a diesel tank and a diesel engine. 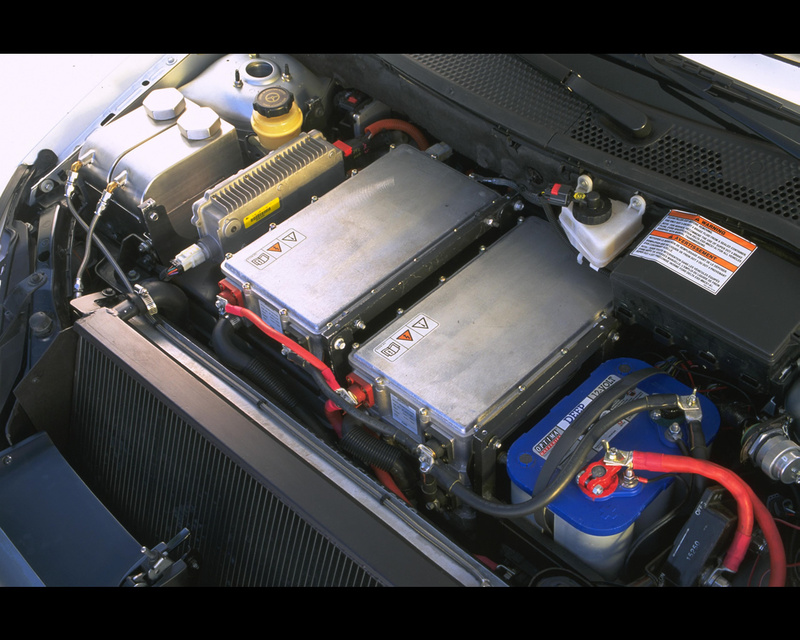 Instead of a six or eight cylinder engine, I could use a considerably smaller two or three cylinder engine as an auxiliary power unit to recharge the battery pack."